→Liver Failure: How Long To Live and Fight? Liver Failure: How Long To Live and Fight? Liver failure - How long to live with the untreated liver failure? How long to live afterward? Live failure is a hazardous condition in which the liver no longer functions due to the mass cell destruction happening in large part of the organ. Acute liver failure (ALF), the most severe case of this condition, progresses much faster. ALF’s occurrence is incredibly fast and hard to detect at first. Most of the time, patients cannot survive over five days after taking in the pathogenic agents. Considering the high number of functions the internal organ have to carry out, the failure means the death sentence for many people without required finance to operate or people who detect it too late. There are treatments for the condition, of course, but if you know a victim of liver failure, tell them to seek help right away because the struggling time is concise. Acute liver failure is one of the leading culprits for deaths by hepatic diseases. You can understand it as the rapid growth of hepatocellular dysfunction, appearing in a patient having no liver problem history. The progress of acute liver failure is quite fast. If the patient lives so far away from a proper healthcare center, he or she may be killed by the condition before receiving a diagnosis. Sometimes, the pathogenic agent can be just a kind of mushroom people cook in for their meals without awareness of the consequences. Chronic liver failure often goes after and along with cirrhosis, which itself results from a lot of possible causes, such as hepatitis B or C, excessive alcohol intake, hereditary, autoimmune, and other metabolic reasons. Which called metabolic causes could be named iron or copper overload, non-alcoholic fatty liver diseases, or steatohepatitis problems. Acute-on-chronic liver failure happens to people with the chronic liver disease, of which symptoms are the developments of some liver failure features. It should be the consequences of alcohol abuse, smoking, and many unhealthy habits. It is not a myth that liver failure is often hard to diagnose in the first place. The early signs of the deadly disease are prevalent in many other conditions. Therefore, few people may suspect that they have caught one of the most dangerous diseases in the world. However, as liver failure progresses, the symptoms become more dangerous, requiring urgent care. One of the liver’s signs is bilirubin conjugating and excreting the substance through the channels of feces and urine. Having too much unconjugated bilirubin in the system is the culprit of confusion, sleepiness, coma, then ultimately, death. If you see those symptoms in someone, especially when several signals taking place at once, take them to the hospital right away. In general, the time is bloody short, so every possible treatment should take place right away. But the exact number of days to survive with the untreated condition is hard to tell. It depends on the degrees of liver failure the patient got. The better the remaining liver function, the longer he/she may survive. So how to estimate the “urgency” and “severity” of one’s failure? They often use the MELD score. It is the abbreviation of Model for End-Stage Liver Disease. Experts give out the result by pondering the figures of creatinine, bilirubin, INR, and sodium. The measurement is applicable for both chronic and acute liver failure. In the cases of acute one, doctors often use MELD score to decide which patients will get the treatment before others do when many people are requiring an operation. In fact, the liver has about 500 jobs to do. If it stops working, the burdens will be put on the shoulder of other organs. Then, the death happens not only because of the failure but also due to the deterioration of the whole system. The patients at that time are incredibly vulnerable to sepsis, bacterial pneumonia, hemorrhage, degraded internal organs, etc. 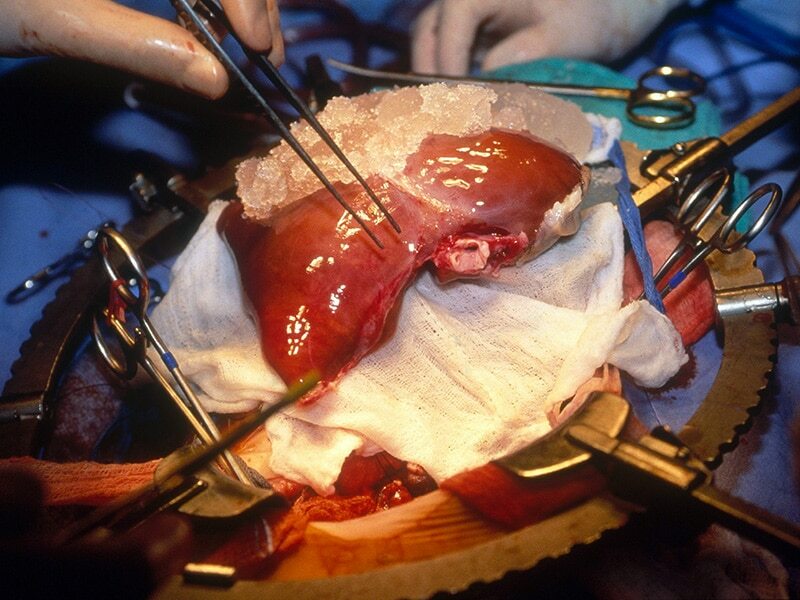 A liver transplant is compulsory to get rid of hepatic failure entirely. To receive the operation, patients will have to wait until they find a suitable donor. Sometimes, the waiting period is too long for them to bear, and some people never find the right donor. However, people say that getting the transplant, how hard it may seem, is just the initial stage of the fight. The statistics of the National Institute of Diabetes and Digestive and Kidney Diseases tell us that most hepatic failure patients have to spend three weeks in the hospital to overcome the severe effects of a transplant. This is also the time when doctors evaluate your body’s figures and decide the success degree of the operation. Sometimes, the verdict will be another extended period of home care. Patients will not be fully healthy after the transplant, of course, and it might take you about one year to get over the adverse effects of the operation. A homecare instructed by a doctor will give you necessary medical, metal, and emotional care. There are risks, that’s why we need to care for our liver and other organs before it is too late to fix anything. A liver transplant can go downward. In that case, it means your body rejects the new organ, often for unexplainable reasons. Don’t blame the doctors; it is usually not their faults. Another lousy outcome is the infection. Besides, there are chances patients may get other long-term complications, such as bleeding, blood clots, damage to the bile ducts, high blood sugar due to steroids. The transplanted liver, which you receive from a healthy body, can fail, too. Live healthier if you don’t want to face the unpleasant old friend again. According to the statistics provided by the American Liver Foundation, 86% patients receiving a liver transplant survive one year after the operation. The survival rate after three years is 78%. It is a pretty positive future for victims of the disease. Often, patients have to take anti-rejection medications and regular blood test for the rest of their life. It is to prevent any potential problems. They will hardly be as healthy as before the failure again, but they will live for a long time if their lifestyle is kept scientific. That means no alcohol, no smoking, and no high cholesterol food, especially when your body has already become weaker after the surgery.